Do you favor amending the Constitution of Maine to reduce volatility in state pension funding requirements caused by the financial markets by increasing the length of time over which experience losses are amortized from 10 years to 20 years, in line with pension industry standards? In 1995, Mainers amended the state Constitution to require that investment losses in the state pension system had to be recouped by the system within 10 years. After decades of mismanagement of the state’s retirement plan for state workers and public school teachers, this quick pay-back period made sense. In 1986, the pension system for these workers was only 22 percent funded and worth about $3 billion. Today, it is more than 80 percent funded and is worth more than $11 billion. The funding level means the system can cover 80 percent of the funding it needs to pay its obligations to current and future state employee and teacher retirees. The plan is funded through employee contributions, state appropriations and income from investments. The Maine Public Employees Retirement System tries to keep these payments consistent so that lawmakers aren’t surprised by pension payments when they put together a state budget. Investment losses make that planning difficult. During the recession, for example, investment losses totalled nearly $5 billion, leaving a big hole to fill within 10 years. 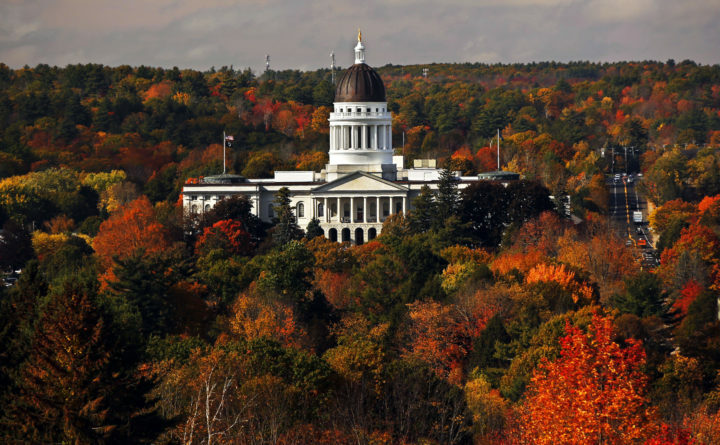 In 2011, lawmakers in Augusta, who also faced reduced state revenues because of the recession, agreed to freeze and cap cost of living adjustments for retirees and the retirement age for state employees was raised from 62 to 65, for new hires. With a longer period to pay back losses, these changes may have been avoided. Some of the investment losses are recouped as markets recover and investments and earnings grow. But, repaying $5 billion over 10 years is a much more difficult task for budget writers, who must make cuts in other government expenditures to balance the budget, than paying back that same amount over 20 years. Hence, this ballot question, which seeks to extend the payback period to 20 years, which is the industry standard. A yes vote on Question 4 will make state pension payments more predictable and stable, without harming state retirees or workers. In fiscal year 2016, the system paid $728 million to state government retirees, with an average annual payment of about $21,000 per person. Employees who pay into the pension system do not contribute to Social Security and don’t receive Social Security income when they retire. Last year, the state paid $320 million into the system, to cover current costs and to make up for investment losses. With a longer investment loss payback period, those payments could be $79 million lower over the current two-year budget, according to Sandra Matheson, the executive director of Maine PERS. The math may be complicated, but a longer payback period sought in Question 4 will dampen big swings in what the state has to pay into the pension system from year to year. Passing Question 4 makes sense.